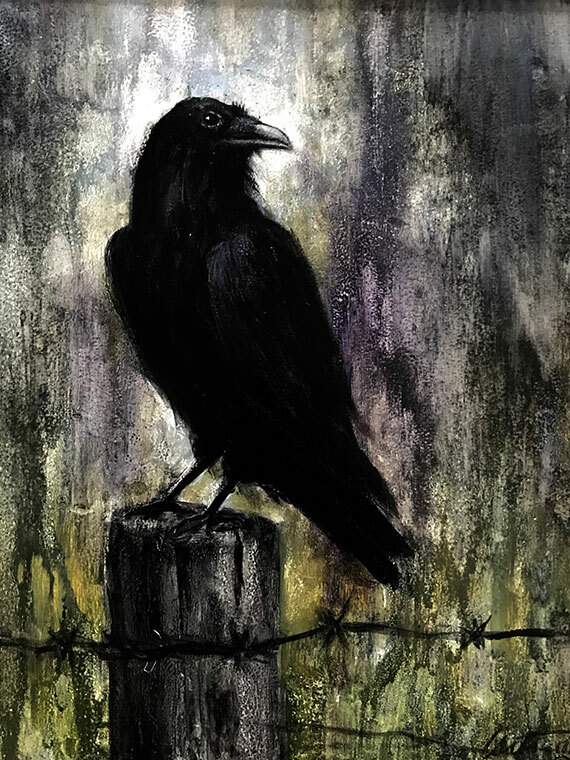 This is the original of a limited edition giclee run called “The Raven.” If you’re an Edgar Allan Poe fan, a fan of goth raen are or just a bird fan in general, then you might thoroughly enjoy this product. I’m a big fan of crows and ravens and it seems like I get most excited about them around Halloween. I’ve sold many original raven paintings as well as limited edition prints both canvas and paper. Assuming that you enjoy birds then you will absolutely love this piece.